Eurocom announces availability of 4th gen Intel Core i7 processors to line of gaming edition notebooks featuring NVIDIA GeForce GTX 780M and 770M graphics. 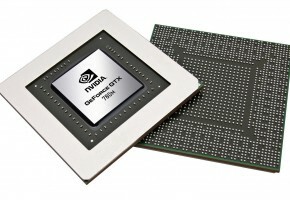 The following 4th gen CPUs will be available: Intel Core i7-4930MX with 4 cores and 8 threads running at 3 GHz with 8 MB L3 cache, Intel Core i7-4900MQ, Intel Core i7-4800MQ and Intel Core i7-4700MQ. “Eurocom just finalized benchmarking of the 4th gen Intel Core i7 platforms with HM 87 chipsets. 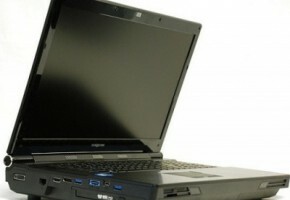 Eurocom X series notebooks, optimized for gaming, are outperforming all other mobile systems available on the market. The 3DMark Vantage scores are the highest. Additional testing is underway to utilize GPU boost 2.0 and overclocking of Intel CPUs to reach even higher scores” Mark Bialic, Eurocom President. 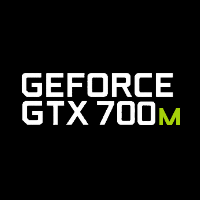 GPU boost 2.0 maximizes frame rates in every application and game. If there is extra power available a boost clock in enabled until the card hits its predetermined power target. Eurocom customers can now have the latest 4th gen Intel Core i7 mobile processors providing up to a 15% CPU performance increase over last generation and increased power efficiency for longer battery life, with a 20 times reduction in idle power draw. In the new line of Eurocom gaming notebooks, customers have the options of configuring up to 5 storage drives, by way of two mSATA solid state drives, and two hard or solid state storage drives, an additional storage drive can also take the place of the optical drive. This allows for a wide range of RAID options. The new line of high performance Eurocom laptops will be equipped with high resolution 1920×1080 IPS and 3D displays, upgradeable extreme processors, next generation NVIDIA GTX 780M and 770M graphics, multiple storage options (up to 5 physical drives) and up to 32 GB of DDR3-1600 memory. Eurocom is launching the 4th Generation Intel Core i7 and i7 Extreme edition processors in the 15.6” EUROCOM X3, 17.3” EUROCOM X5 and 17.3” EUROCOM X7 series laptops supporting dual graphics to provide customers with gaming, professional and workstation capability.